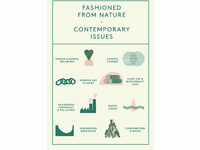 Fashioned from Nature explores the relationship between fashion and nature from 17th to 21st century. Commissioned by the exhibition’s curator, Edwina Ehrman, I worked alongside Centre for Sustainable Fashion’s Professor Dilys Williams as creative and curatorial advisor on two installations for the exhibition, Fashion Now and Fashion Futures 2030. 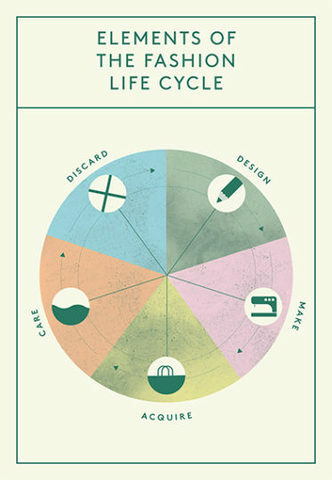 Fashion Now comprised of five elements, each relating to the five-stage fashion lifecycle: design, make, acquire, wear/care, discard. 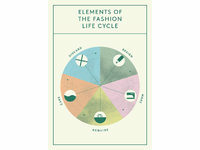 Referencing eight elements of nature relating to fashion’s lifecycle, the installations, based on familiar fashion dialogues, such as Instagram, purchase receipts, illustration and video, show that fashion’s interaction with these elements frequently reveals an unequal partnership. Developed with students of MA Fashion Futures and creative technologist Mouhannad Al-Sayegh, upon touch each object triggers a film exploring one stage of the fashion lifecycle. 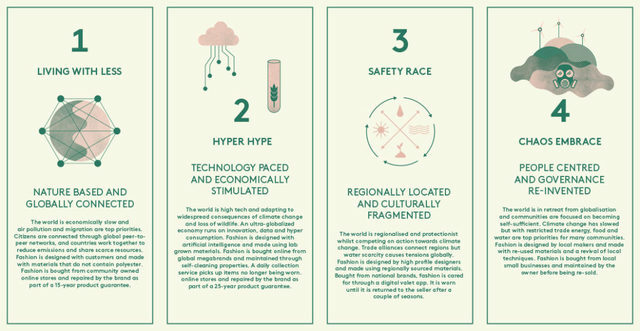 Fashion Futures 2030 explores what fashion and nature might look like within four world scenarios. 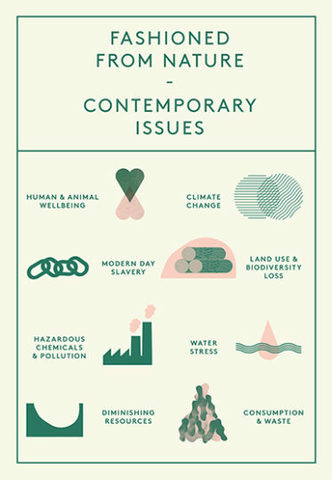 The scenarios, developed by Prof. Dils Williams, are based on environmental, economic, social, cultural and technological changes taking place across the globe. 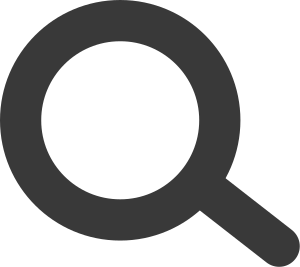 They are not predictions, but stories of how the future might unfold, developed through research and with contribution from Forum for the Future. I commissioned four film makers, Crack Stevens, Nadira Amrani, Carlos Jiménez and Cieron Magat, to develop stories from these scenarios into four short films depicting elements of how we might live, dress and value nature. 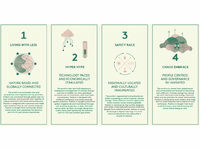 In addition visitors to the exhibition will have the opportunity to share how they would like fashion to be designed, made, acquired, cared for and disposed of (or not) in 2030 through an interactive set of questions. Data from the exhibition over the forthcoming year will be gathered by the research team and analysed into a final account of the scenarios, revealing the choices made by visitors to the exhibition.